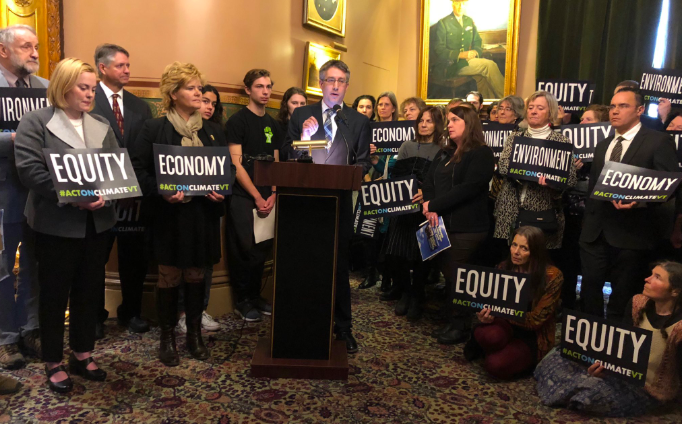 Today a coalition of 25 organizations – representing youth, low-income, business, public health, environment and others – outlined a platform of policy priorities for Vermont legislators to advance in 2019 on climate change. View the platform here: http://vnrc.org/actonclimatevt/. “The science couldn’t be any more clear: Bold action on climate is imperative. VNRC is proud to join a diverse coalition of partners pushing for job-creating, climate mitigation strategies and to ensure Vermont does its part on this pressing issue,” said Johanna Miller, Energy and Climate Action Program Director at the Vermont Natural Resources Council (VNRC). To view the platform of policy priorities for Vermont legislators to advance in 2019 on climate change, click here: http://vnrc.org/actonclimatevt/.